Advocacy for GIST patients is a vital part of the work the Life Raft Group undertakes, but there are advocacy “superheroes” out there, going above and beyond to ensure that all GIST patients receive the life-saving treatments they need and deserve. Piga Fernandez, LRG Global Consultant, is one of those exceptional superheroes. Internationally, treatment for GIST is not as accessible as it is in the United States. Piga has been a part of the LRG’s efforts to raise awareness about GIST in Latin America through the efforts of Alianza GIST. But in her native country of Chile, she has been a part of a grassroots effort that recently bore fruit. 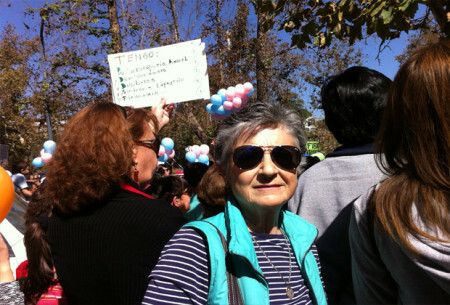 The movement held several marches, but Piga became more involved in November of 2014, when she was invited to a meeting where she met the members of the Chilean congress who were trying to push forward the law to be discussed in congress. 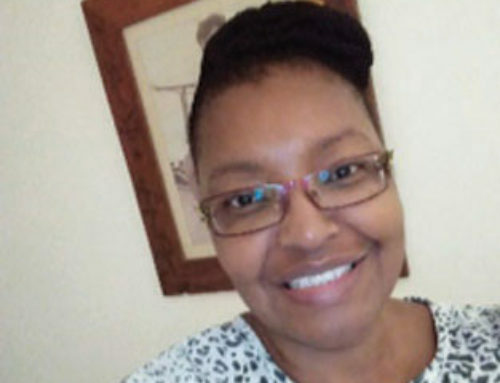 She fearlessly approached three senators and the head of the Superintendence of Health, giving them her card and outlining what she was doing for GIST patients. Two days later, she was invited to the Health Commission meeting at Congress and had the opportunity to present to the congressmen and health authorities including Dr. Burrows, the Undersecretary of Public Health, the needs of GIST patients regarding access. The President of Chile, Michelle Bachelet, had promised that the new law would enter Congress before December 31, and when this did not happen, a protest campaign on social media raised a lot of awareness. Piga was then invited to speak with a group of leaders of organizations for diseases that would be affected by this law to begin the process of working together to discuss how to push it forward. In the meantime, the Health Minister resigned, and Dr. Burrows took her place until a new Health Minister could be elected. On Monday, January 5, Piga was invited to the Ministry of Health together with four other leaders of patient organizations to meet with a senator, Carolina Goic, and Dr. Burrows, and to make the announcement that the law would be read to enter Congress before January 15, 2015. When the press interviewed her, she stated that it was a huge step that patient organizations’ opinions were being considered, and that she was looking forward to being invited to discuss this law. On Friday, January 9, Piga got to see all those efforts deliver tangible results. She was invited to La Moneda, the Chilean equivalent of our White House, to a ceremony where the President would sign the law. It will now go to the Congress for evaluation. Advocacy is not always a quick process, but joining together for a common cause and channeling the power of social media can be effective tools for change. The battle is not over, but significant steps have been taken. Bravo, Piga. GIST knows no boundaries. The Life Raft Group focuses on several key pillars. One of those pillars is “to increase access to effective treatments worldwide.” We aid patients from the United Kingdom to India and Kenya, helping wherever GIST patients are in need. Our patient registry staff interacts with global patients daily. The LRG Patient Registry has members from 63 countries, with country liaisons from 61 countries. We present at international symposiums on GIST, support global advocacy issues, and work to establish alliances and collaborations. We want to ensure that GIST patients across the world have access to the best possible treatment. The LRG website is dedicated in perpetuity to the memory of Mary S. Golnik.